It’s surprisingly easy to lose sleep over which bed to buy. There’s so much to think about: size, style, materials… and that’s before you consider whether you want to incorporate storage or not. Our guide will reveal your options so you can rest a little easier. 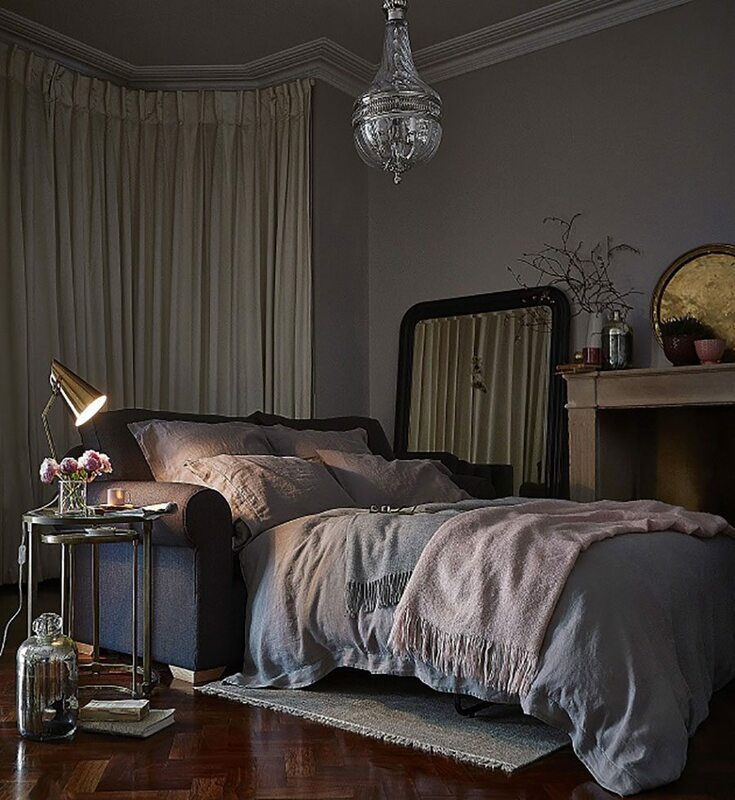 The Chesterfield-inspired Knightsbridge king-size bed in Dusty Rose velvet is £1,970 from sofa.com. A divan bed has an upholstered base with a mattress on top. The two parts are often made from the same fabric and teamed with a headboard for extra comfort and support. There’s a divan bed to suit the majority of budgets. Most expensive is a sprung-edge design, which consists of a frame topped with open-coil or pocket springs that run the length and width of the frame. Sprung-edge divans are generally considered the most comfortable option because the springs offer even support across the mattress. This feature also means they tend to last longer than other styles. Less expensive is a divan with a firm-edge base. This usually has a smaller number of springs set within a fixed, wooden-sided frame. On a budget? Solid or platform-top divans have a rigid, non-sprung top panel, often made of hardboard. Generally firmer as well as cheaper than sprung-base divans, platform bases tend to be teamed with mattresses that are designed to be firmer, such as latex or non-sprung memory foam. The Tiara Superb mattress from Vispring is teamed with the Sovereign divan, which features a layer of pocket springs. Available at Wharfside, Vispring divan and mattress combinations start from £3,420. If you enjoy watching TV or reading in bed, or if you have back or mobility problems, you’ll benefit from an adjustable divan. You can set it to your preferred position, and, if you share your bed, adjust each half separately. It’s worth shopping around because an adjustable bed can be as simple or as sophisticated as you need. Some are remote controlled and have five or more individually adjusting sections targeting the neck, head, upper body legs and feet. Others are manual and it’s simply a matter of adjusting the upper body. 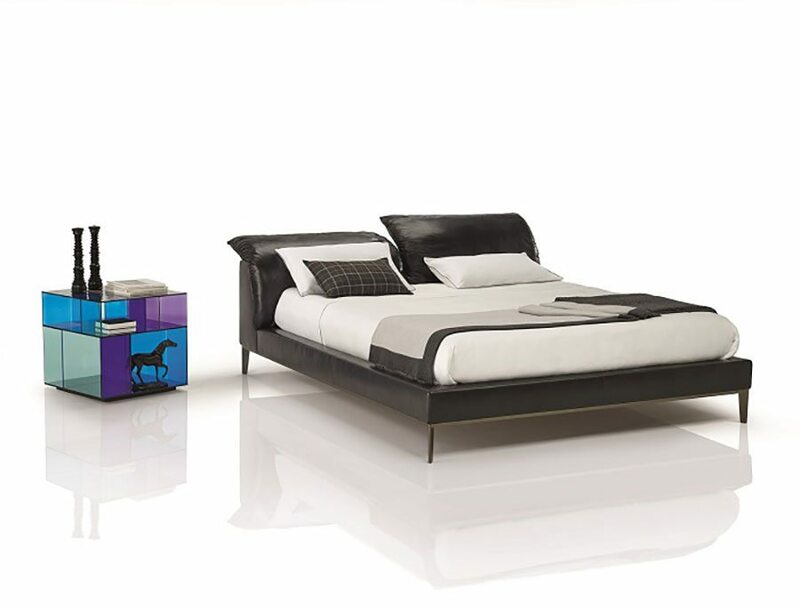 A few simple movements are all it takes to adjust the headboard of the Vela bed by Natuzzi. Priced £3,420 and available in leather or fabric. You’ll usually find drawers inside a divan base. 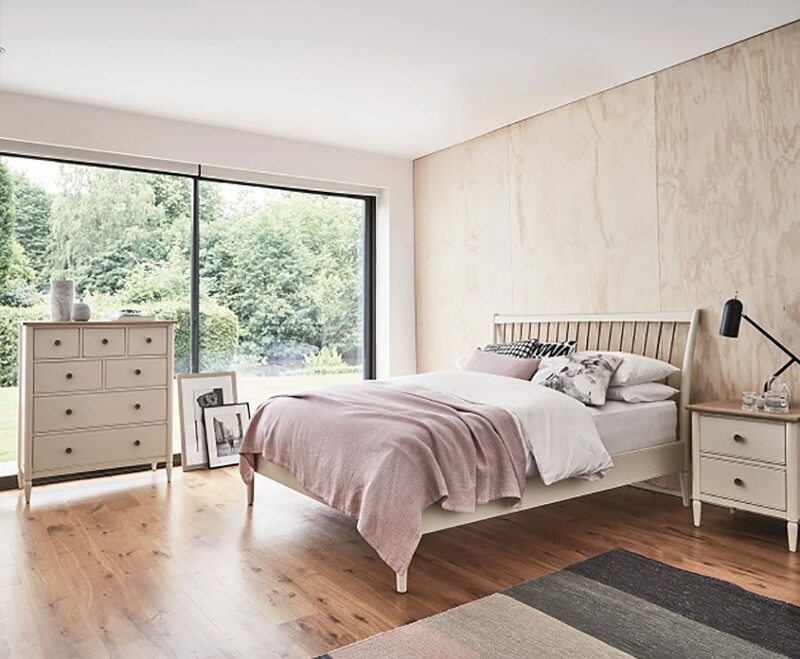 Think carefully about the space in your bedroom before you commit to a specific one: if your bed sits snug against the wall, for example, a divan with two drawers on one side will be easiest to use. Look for a two-or four-drawer option with drawers on either side if you have space on both sides of the bed. Remember that bedside tables may restrict access to drawers at the top of the bed. Use these to store stuff you don’t need regular access to or invest in a divan with regular-sized drawers at the foot end of the bed and smaller, continental drawers (sometimes referred to as 2+2 drawers) at the top. That way you’ll have bedside cabinets and accessible drawers. 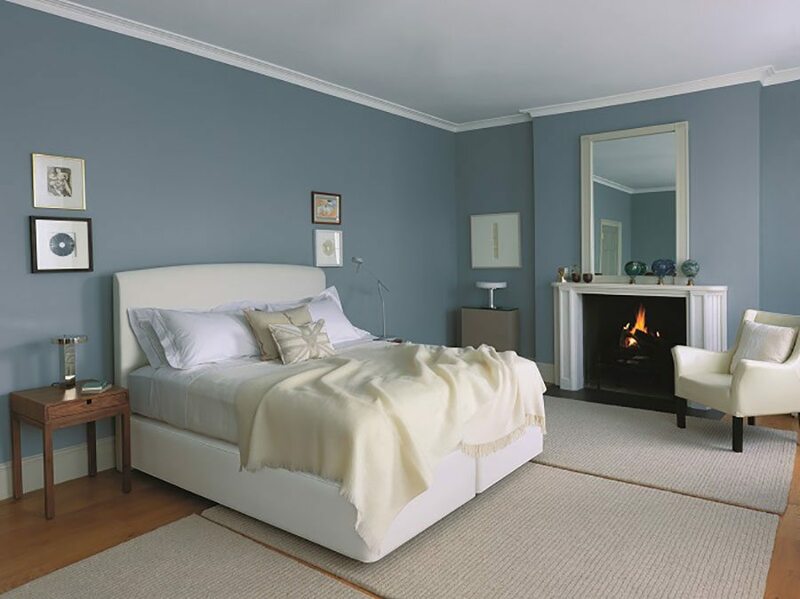 The Classic Curve bed by Bed Monkey is priced from £525 for a single. Seen here with two drawers, Curve is also available with four drawers or ottoman storage. Or go for an ottoman? If you’re short on space, an ottoman divan will help you keep your possessions close by but out of sight thanks to a lift-up mattress that conceals a generous storage space for extra linen, towels or blankets. 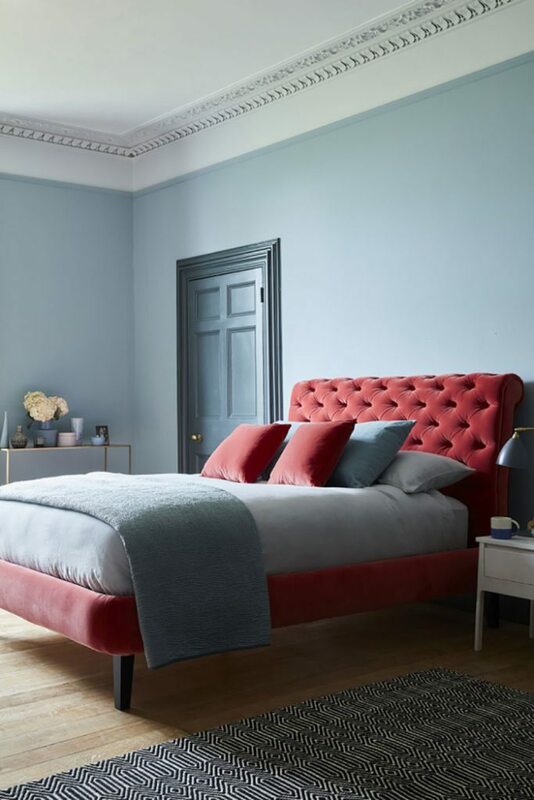 Create a sense of grandeur without sacrificing storage space with the wing-backed Chesterfield-style Symphony ottoman bed (£599 from Time4sleep) upholstered in a linen-look fabric. 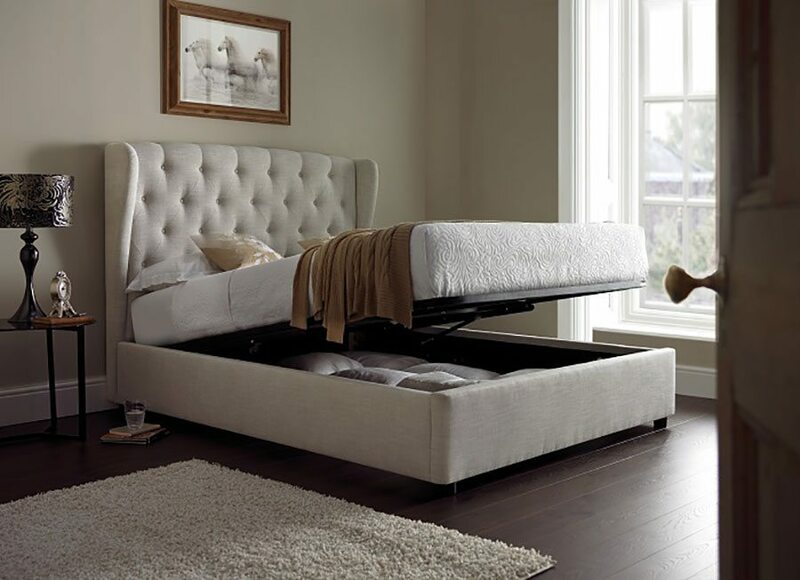 If you’re buying a headboard separately from your divan base, think about practicality as well as style. For example, if you like to watch TV in bed, choose a fabric or leather upholstered headboard over metal as it’ll be more comfortable to rest on. Once you’ve picked a board, take careful measurements: not all headboards fit all beds. 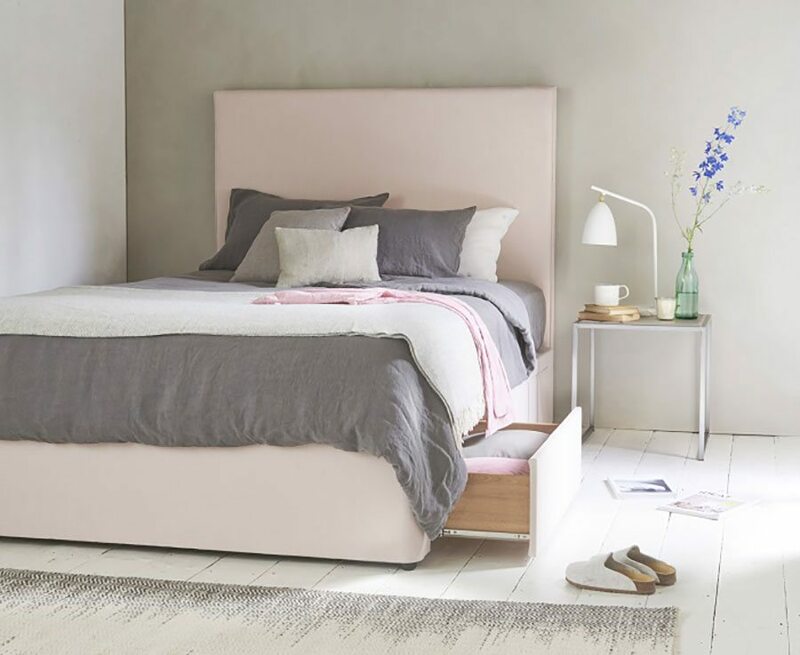 Loaf’s Tall Piper headboard, from £315, is upholstered in pink-brushed cotton and teamed with its Tight Space divan complete with drawer, from £380. Don’t fancy a divan? Try a bedstead, which will have a wooden slatted base in place of the upholstered divan. It’ll often have a headboard and footboard too. It’s tempting to focus on looks when choosing, but think about the amount of support you need as well: static slats offer firm support to the mattress while sprung ones offer more responsive. Another word of advice: always check the size of your bedstead before you buy a mattress. If it’s imported, it may not conform to standard UK sizes. 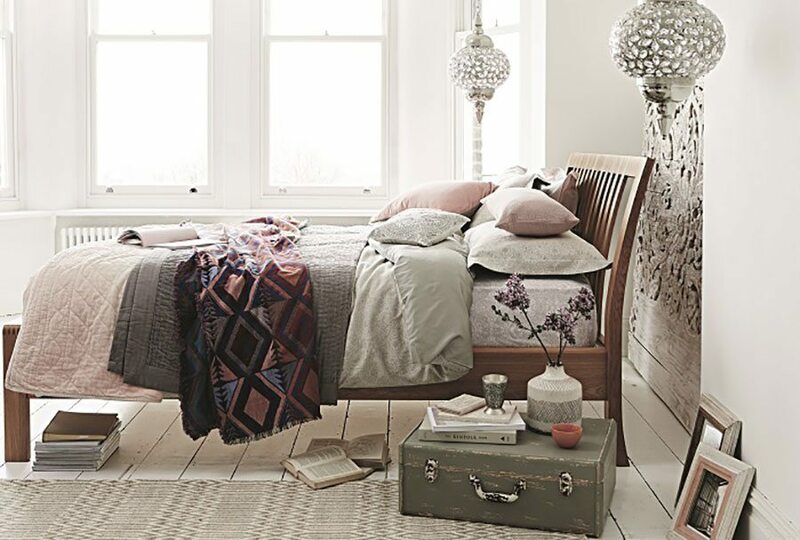 The Bosco double bed by ercol promises to give you a good night’s sleep thanks to pre-sprung wooden slats. Priced £796 at Furniture Village. Bedsteads tend to be made from wood or metal, or be upholstered in fabric or leather. It’s easy to get overwhelmed by all the options, so here’s a selection of our favourites to get you started. 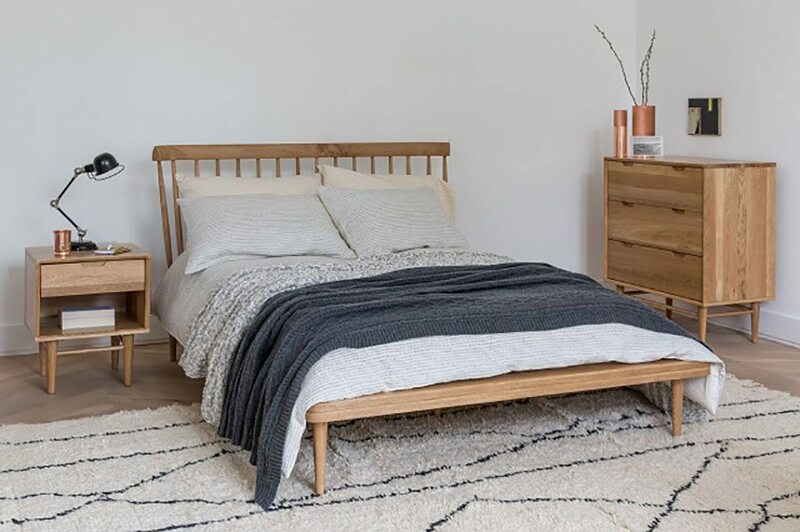 This 1950s Scandinavian-inspired Clerkenwell double bed by Soak & Sleep is crafted from solid oak and priced £720. With its chrome finish and intricate detailing, the Zara bed from George makes an eye-catching focal point for your room. Priced from £329. 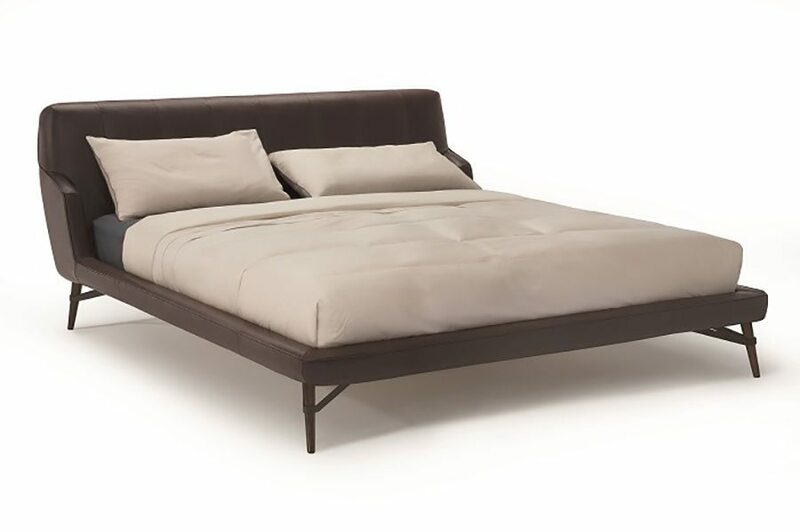 Inspired by 1950s proportions, the Svevo bed by Natuzzi is available in a choice of leather (shown) or fabric and is priced from £2,970 and £2,550 respectively. 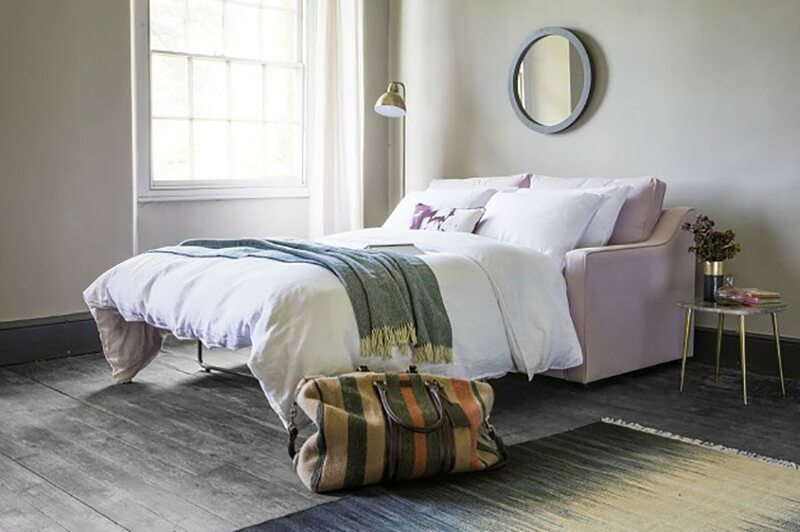 Feeling as good as it looks, the Willow double-bed frame (£1,025) from Button and Sprung is handmade and upholstered in Fossil textured weave. Do you want to make a feature of your bedstead or blend it into the background? This selection of our favourite finds will help you decide. 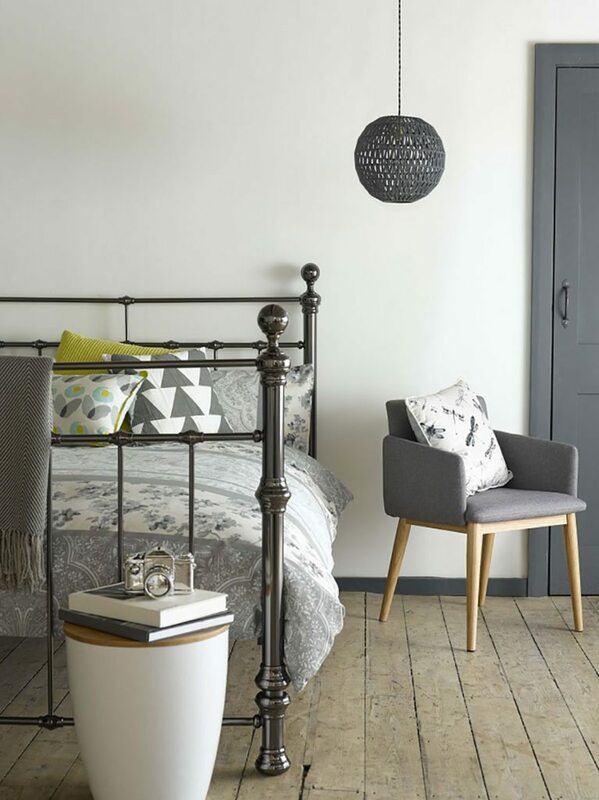 Piacenza bed by ercol features a curved spindle-back headboard that gives a classic but stylish edge to the piece. Priced £795 for a double. 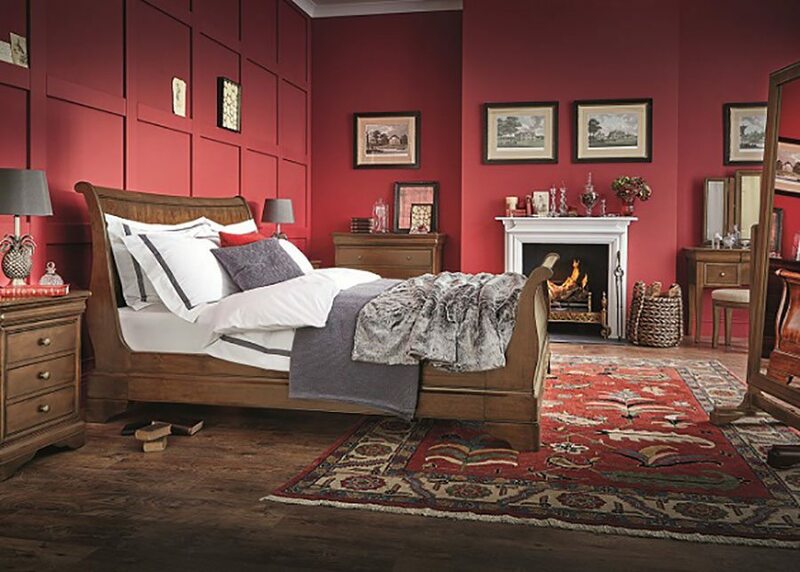 Provence (£1,299) is a classic Louis Phillipe-style sleigh bed in a mahogany veneer and dark cherry finish from Feather & Black. 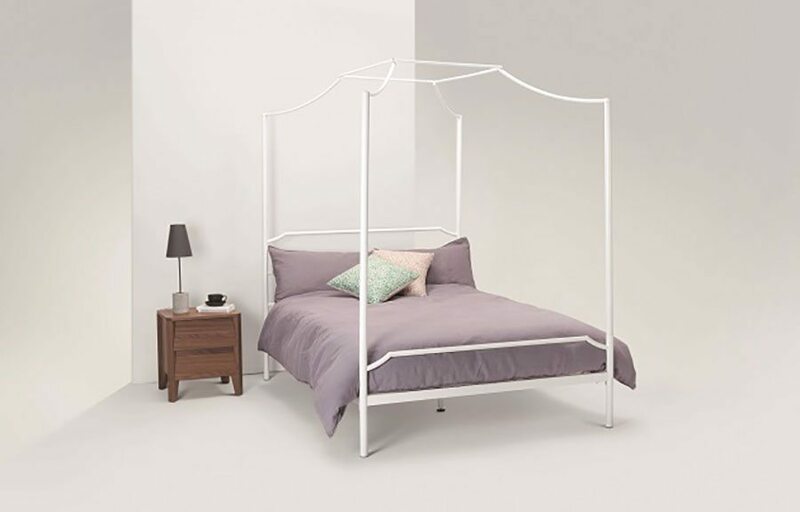 The Albany (£299) from made.com has all the romance of a classic four-poster but will happily sit in a contemporary setting thanks to its slender frame. Space is often at a premium, so why dedicate a spare bedroom to guests when it can double up as a home office or TV room with a little savvy thinking? Maximise space with a sofa bed: easy to fold out when visitors come to stay and put away when you want to watch a movie. For a simple style that won’t date easily, look no further than the classic shape of the Burton sofa bed (£1,249) in Aosta Charcoal fabric from Multiyork. The Lolly two-seater sofa bed in Grace Kelly cotton is priced from £999 at Perch and Parrow.